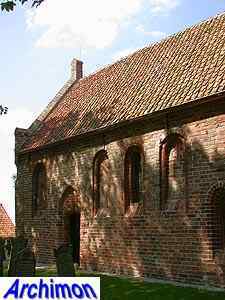 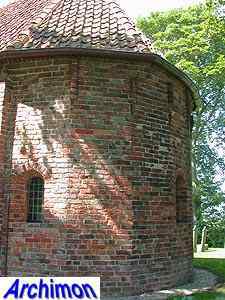 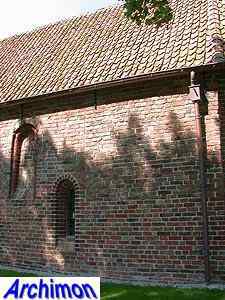 The church of Janum is a small one-aisled brick church which probably was founded by the monastery of Rinsumageest. 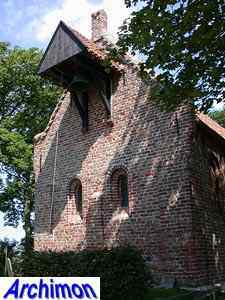 After the reformation it became a reformed church, until it was closed in 1936. 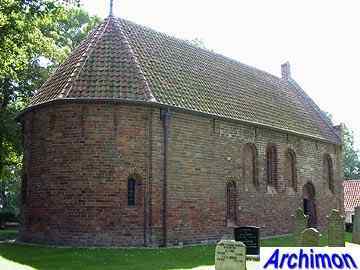 The oldest part of the church is the Romanesque choir, which was built in c. 1200. 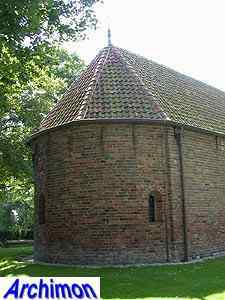 Its apse is polygonal on the outside and semi-circular inside. 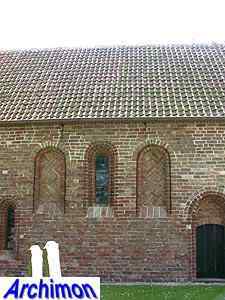 The original Romanesque nave was replaced by the current one in Romanogothic style in c. 1300. 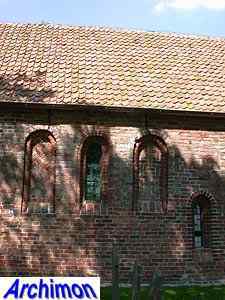 The outer walls are decorated with with niches with brickwork patterns. 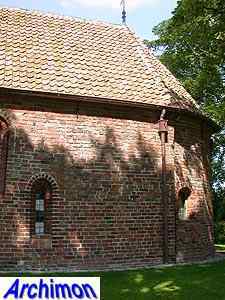 The original dome-vaults were removed in the second half of the 16th century, when the roof was renewed. 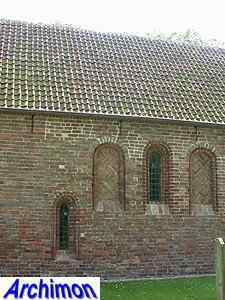 Other later changes to the building included larger windows and the addition of a big buttress to the back. 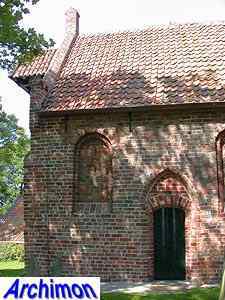 Old pictures also show a blind, gable-less facade with a bell-cot standing in front of it. 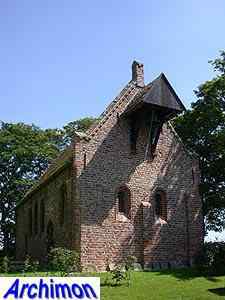 After it was closed the church fell into decay. 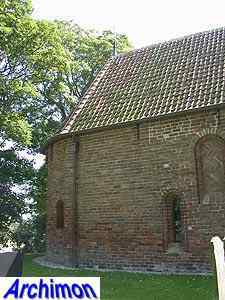 In 1942-1944 the church was restored by J.J.M. 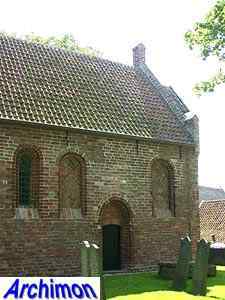 Vegter. 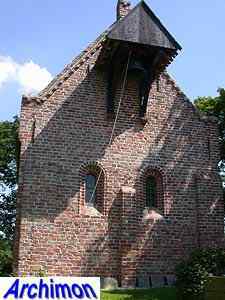 The old windows and niches were reconstructed, the buttress was removed and a gable was added to the front, with a hanging bell-cot. 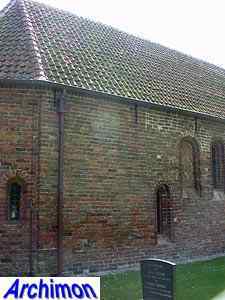 In 1947 the church reopened as a museum.